Istvan Bibo was born in Budapest in 1911 into an intellectual Calvinist family. His father was a high-ranking civil servant, while his mother was the daughter of a bishop. After graduating in law, he too started work in the civil service while at the same time lecturing in political science at the University of Cluj and Szeged. On 16 October 1944, the day after the Hungarian fascists came to power, he was arrested for providing Jews with false documents; he was released two days later but was then forced to go into hiding until the end of the war. In February 1945, at the request of his friend, Ferenc Erdely, Minister of the Interior, he joined the Provisional National Government formed on 22 December 1944, and went back to teaching at the university. Between 1945 and 1947 he wrote several political analyses in which he opposed the Communist party’s dictatorial tendencies. His texts later became fundamental for the dissident movement and formed the basis of modern Hungarian political thought. In his essay The Jewish question he recalled the persecution of the Jews at the hands of the Nazis with the complicity of the Arrow Cross government, allied with Hitler; in it he appealed to the civil conscience of the Hungarian people, asking them to acknowledge their country’s responsibilities with an act of moral purification that would restore their lost dignity. When the Communists came to power, he lost his job at the university and, to avoid being forced into retirement, agreed to work at the university library. That is where news of the 1956 uprising reached him. On 2 November he joined the government of Imre Nagy. At dawn on 4 November, on learning of the Soviet aggression, he went to the Hungarian Parliament, where he found a handful of politicians and the Primate of Hungary, Cardinal Mindszenty. As the troops approached, the Primate and the other politicians fled to seek refuge in the city’s foreign embassies, while Bibo refused to abandon the building. It was in those troubled days that he wrote his famous Appeal and his Project for a compromise solution to the Hungarian question, which he managed to send abroad and which was to become the political manifesto of the protest and the platform for negotiations with the new pro-Soviet Prime Minister Kadar. Over the following months repression spread throughout the country and Bibo was inevitably soon in trouble again. Arrested on 23 May 1957, on 2 August he was sentenced to life imprisonment for “spying with a view to overturning the popular democratic government of the State”. He was released from jail in 1963 following an amnesty. In 1967 he wrote a letter to Jean Paul Sartre – delivered, not without difficulty, by the friends who managed to smuggle him out of Hungary – asking Sartre to intervene for the release of those revolutionaries still detained, despite the amnesty. He received no reply and noted bitterly that western intellectuals were deaf to the appeals in defence of human rights in the East. He renewed his request with two letters to Prime Minister Kadar, in 1969 and 1970, both of which also fell on deaf ears. Once out of prison, unlike most of the intellectuals involved in the 1956 revolution, Bibo refused to compromise with the authorities. As a result, he was ostracized and the publication of his books was banned. His thinking, however, was considered fundamental by all the opposition groups, as testified by the Book in memory of Bibo, in which seventy intellectuals paid tribute to him a year and a half after his death, in Budapest in 1979. 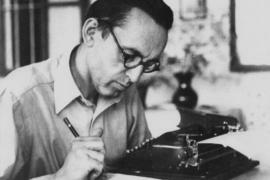 Published by the underground press, the collection marked the beginning of the Hungarian samizdat, via which the works of this great Hungarian thinker – who was practically unknown in the West until the Wall came down – were published in the years that followed. The so called "dissent" in the communist regimes of Eastern Europe cannot be just reduced to the simple notion of an "opposition" as its definition would suggest, but it should be above all considered as an attempt to build a "parallel polis" based on the responsibility of every citizen and aimed at occupying the spaces where cultural, social and human freedom are allowed, as wrenched from the totalitarian rule over the social fabric. Members of Charter 77 and Solidarnosc, such as Vaclav Havel, Radim Palous, Jacek Kuron and Adam Michnik, have always underlined that “the power of the powerless” consists in winning over fear through the empowerment made possible through a collective assumption of responsibility, witnessed by the exhortation to "live the truth" within a society based on lie. Ver often their "dissent" consisted in a way to claim the enforcement of laws, such as the ones about freedom of conscience, or the international agreements subscribed by their countries, such as the Helsinki Accords. This was the origin of a broad movement that was able to condition the behaviour and mentality of the public opinion, up to the point in which, letting aside Romania, the totalitarian rule was overthrown in a peaceful way, without shedding blood, with the rise of a new leading class recognized by the majority of the population and ready to take on government responsibilities.